Ageing baseball scout Gus (Clint Eastwood) doesn't believe in computers or statistics. He enjoys researching the old fashion way by going to games and watching new talent firsthand. However, Gus is struggling to take care of himself. He doesn't eat well and his eyesight is growing weaker, making it harder to observe the matches. With draft selections approaching, Gus's friend Pete (John Goodman) is worried about an important scouting trip coming up. He can't afford for Gus to make any mistakes with selections so he employs some extra help. 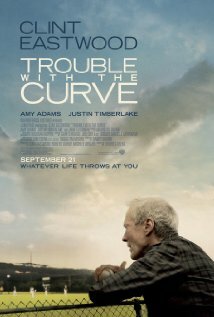 He tries to persuade Mickey (Amy Adams), Gus's daughter, to go on the trip with her father. Mickey lives a very separate life to Gus. She works in a law firm surrounded by men and has to work hard for any recognition. However, she knows as much about baseball as Gus does and eventually concedes when she realises her father's instability. Her relationship with Gus shares a bitter past, but she finds relief by coming to know Johnny (Justin Timberlake), a young scout who would have been a great player had he not succumbed to injury. Trouble with the Curve is driven by a fantastic creative team, two experienced lead actors and a rising star - it's also nothing short of a misfire. The film is courtesy of Clint Eastwood's studio Malpaso Productions, but is directed by his assistant Robert Lorenz, the second unit director of films like Million Dollar Baby (2004) and Mystic River (2003). Positioning itself as a clear alternative to the sports science methods of Moneyball (2011), Malpaso is a fitting word. The name is derived from Malpaso Creek, which means "bad step" in Spanish. The script by first time screenwriter Randy Brown would have you believe that modern statistics in sports fall short of old school methods, like pure instincts and hands-on research. Did the old men that Billy Beane had to contend with come up with this? I don't know a lot about baseball, but after watching Rugby League for seven years I've learnt something: stats do not lie. A recent article in The Sydney Morning Herald described the fallout between the NRL (National Rugby League) administration and Sports Data, a company outsourced to organise all of the games stats and player statistics. Sports Data is said to hold a very close relationship with the games most successful coaches, many of whom use this information to prepare for matches as well as recruitment. The article also predicted that without these vital statistics, the 2013 season would start in chaos. Why would any other sport today, including baseball, be different? What's shown here, like listening to the sound of the bat, is an outdated and impractical fantasy, argued unpersuasively. The charisma of the film's leads adds a little more belief to the father-daughter side of the story. 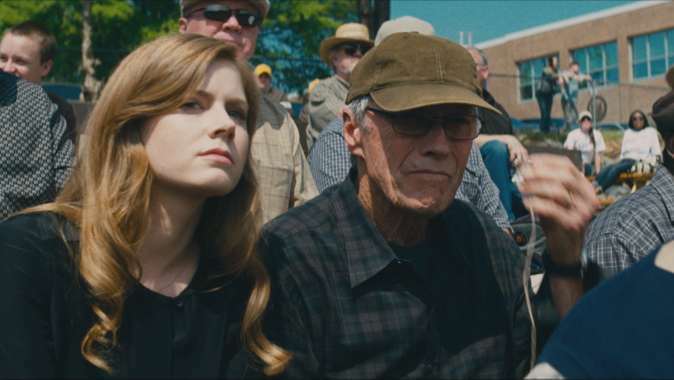 Amy Adams' form is first class, blistering with the same toughness and grit that Eastwood is best known for himself. They share great chemistry together and exchange some wonderfully comic verbal stoushes. She sarcastically says at one point in the film: "It must be so rewarding being one of your close friends". 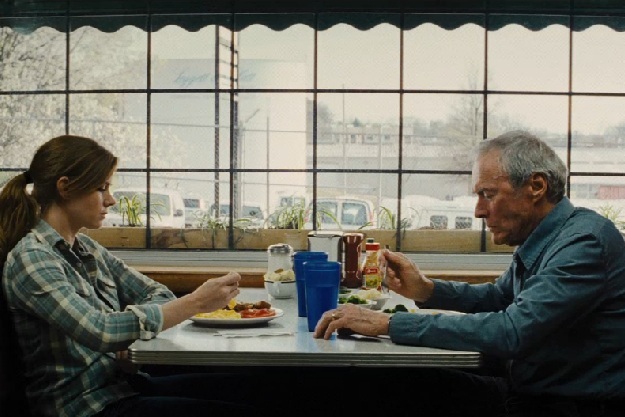 Although Eastwood is starting to look weary, he can still throw down the odd good line or two, like when he comments that his garage is shrinking after scratching his car. There are also a couple of scenes where his own sense of invulnerability, coupled with his ailing eyesight, provides some briefly tense moments. Yet it's the script that lets the actors down again because it doesn't know how to develop the central relationship. Gus and Mickey fight, watch baseball together, and fight some more, right until an unmoving revelation is tacked on at the end. The lack of drama is compounded by Timberlake's character. He's very charming and funny, but if Gus is unconcerned about Johnny romancing his daughter, where's the tension? Mickey's relationship with Johnny itself is also very old fashioned and overly safe. He's laid-back, she's not, and they discover they both love baseball and go swimming in a lake together. Jumping in that ice-cold water is about as radical as this film ever becomes. With an overdose of pleasantness and few dramatic high points, the film becomes tedious viewing. Nonetheless, it won't tarnish Clint's legacy too much: it'll be forgotten before then.